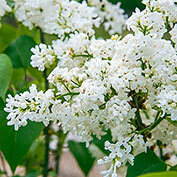 Snowy Beach Party Lilac | Gurney's Seed & Nursery Co.
Incredibly easy to grow and maintain, this new lilac exhibits exceptional garden performance as well as outstanding cold hardiness and mildew resistance. Plus, thanks to its low chill factor, it will grow and thrive in southern areas of the country—reliably flowers in zones 9 and 10. 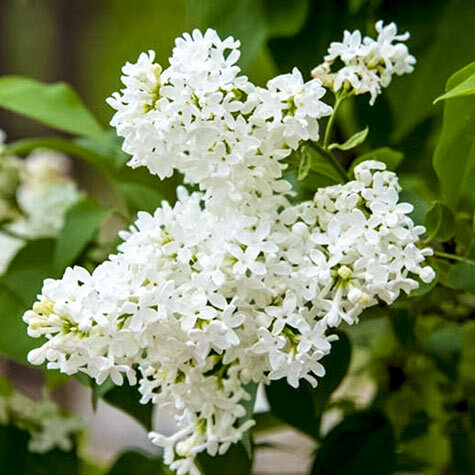 A truly beautiful plant, this bush-type lilac grows 8-12' tall with a 6-8' spread, making it an ideal specimen plant or hedge variety. 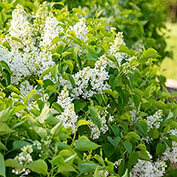 Big, intensely fragrant panicles burst with snow-white florets in mid to late spring. 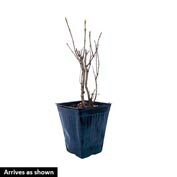 Tolerant of many soil types, it needs only a well-drained site to thrive. This lovely lilac was discovered 50 years ago by Nellis McNeil of Armstrong Nurseries in California, and remains a popular variety to this day. Hardy in Zones 4-10. Depth: Plant at the same depth it is growing the container. Foliage: Deciduous, smooth textured leaves. Comments: Bred for Southern gardens, Beach Party lilacs have a low chill factor, heat tolerance, cold hardiness, and great mildew resistance.